Join us on this wonderful journey to discover highlights of the incredible east coast of Australia. 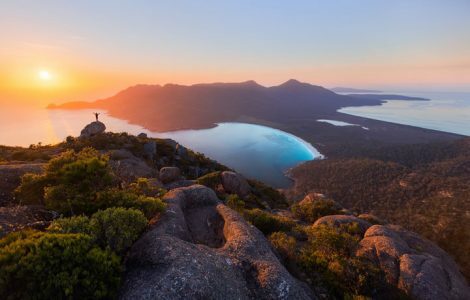 Begin in the island state of Tasmania – rich in colonial history, spectacular scenery at every turn and abundant with fabulously fresh food and wine. 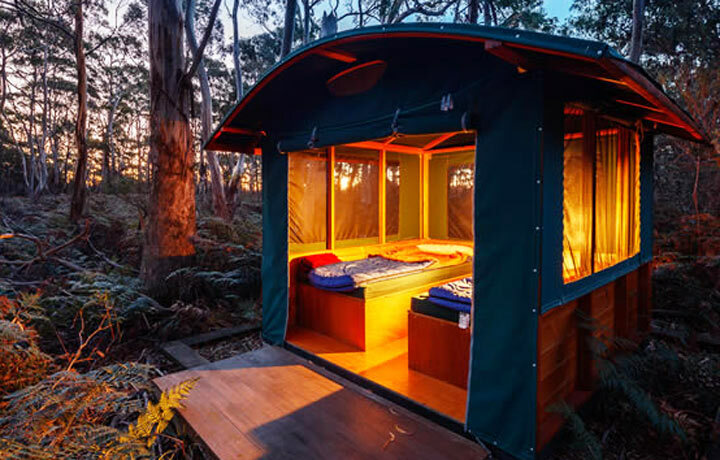 Explore historic Hobart and the striking scenery of Bruny Island before joining an unforgettable 4-night walking trip on Maria Island. 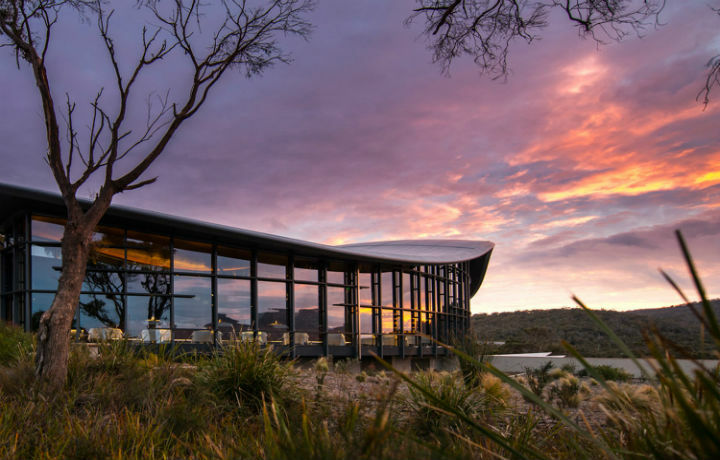 Indulge yourself at award-winning Saffire Freycinet overlooking the waters of Great Oyster Bay. Head to idyllic Lord Howe Island for some low-key relaxation in paradise-surrounds. Then, spend your final night soaking in the views from atop the iconic Sydney Harbour Bridge. Take in spectacular panoramic views from the top of Hobart's Mount Wellington. Pass by the historic Cascade Brewery (a proud local favourite) as you descend the mountain on two wheels. This evening, enjoy one of the many fabulous restaurants in town at your leisure – we’ll be happy to suggest some of our favourites! Spend today discovering (and sampling) some of Bruny Island’s great local fare, including cheeses, oysters and wines. 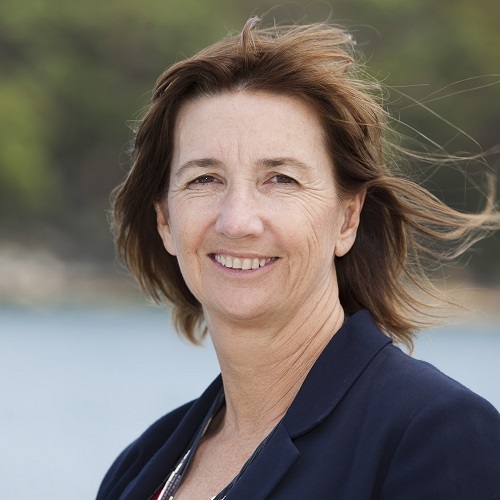 Later, enjoy a fabulous eco-cruise exploring the rugged island coastline—a breathtaking journey along some of Australia’s highest sea cliffs and into deep sea caves. Uncover the wilder side of Tasmania as you begin a gentle four day walking journey over beautiful Maria Island. After a full day of walking, dinner tonight is a three-course meal of fresh local produce prepared directly at your peaceful beachside camp. Spend the day hiking across five fabulous beaches and hearing stories of the island's history, spotting dolphins and other wildlife along the way. Dinner is in candlelit surroundings, sampling the finest local fare and award-winning Tassie wines. 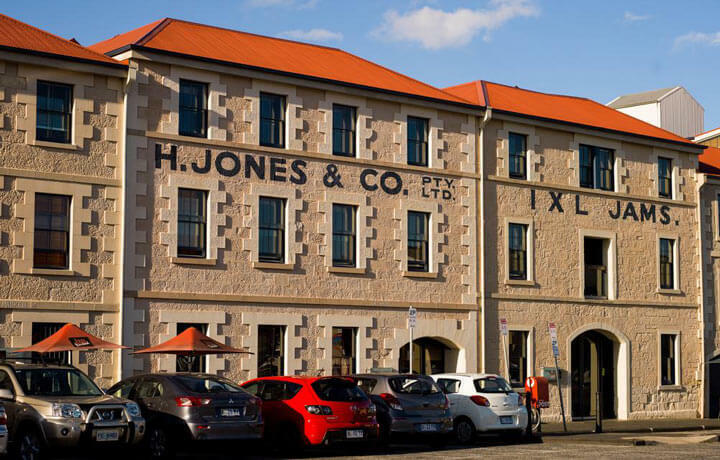 Explore the former convict settlement of Darlington and learn about its doomed silk-weaving, wine-making and cement manufacturing industries. Tonight, your stay is at the elegant colonial Bernacchi House, where you'll be treated to a well-earned hot shower and sumptuous banquet in this historic homestead. Begin the day with an exquisite breakfast before exploring the wildlife, sea caves and cliffs around Fossil Bay. After lunch, you'll be transferred to the luxurious Saffire retreat on the Freycinet Peninsula. Dinner tonight is in the lodge at Saffire, overlooking the Hazards. Today, choose from a wide variety of activities available at the gorgeous Saffire Freycinet. Don’t miss the chance to slip on a pair of waders and get a glimpse into the secret life of shellfish in Great Oyster Bay—your chance to sample some of the freshest, most pristine seafood in the world! Enjoy breakfast at the hotel before catching your flight to Sydney. Spend the afternoon exploring the city with a private tour designed to suit your needs. Go for a dip with the locals at Bondi Beach and then head back to town for a behind the scenes tour of Sydney's most iconic building, the Opera House. Get ready for a private e-bike tour of Sydney this morning with your local guide. Then, meet up with our friend Captain Colin for a private two hour sailing cruise of Sydney Harbour as he shares this city's intriguing history, taking you past the luxury homes, leafy parks, beaches and landmarks of the harbor. Hop on a flight to Lord Howe Island this morning where you'll spend the next three days in the stunning subtropics - one of Australia's hidden gems. 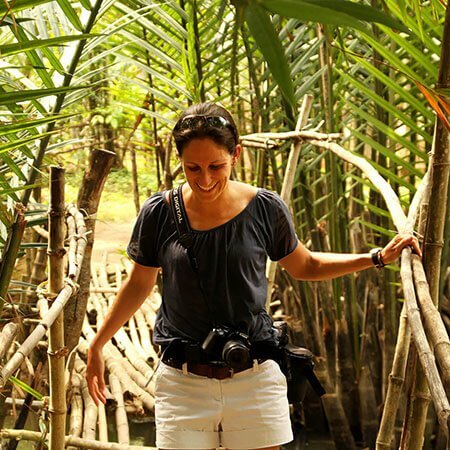 The island is covered in volcanic peaks and lush forests, set against serene lagoons and rolling waves. Indulge and enjoy at your own pace! Continue to discover Lord Howe Island today - explore some of the fabulous mountain hikes, snorkeling and diving, or make use of Capella’s mountain bikes. 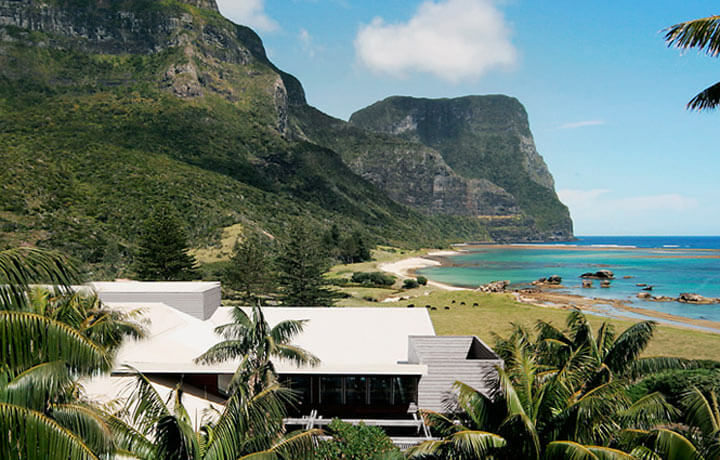 Take advantage of wildlife that surrounds on your final full day at Lord Howe. Head out for a day of bird and nature-watching, indulge in the lodge's fabulous food and wine, or relax at the luxury spa. Say g'day to Sydney again for your final night in Australia. 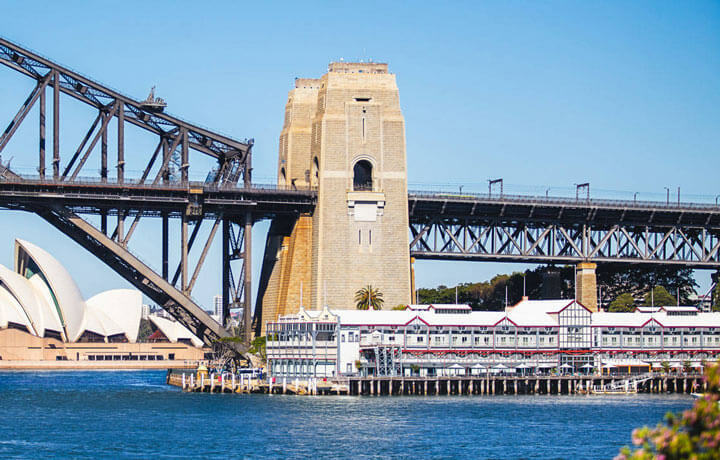 Get up close and personal with one of Sydney's most beloved landmarks as you embark on a heart-pumping four hour Harbour BridgeClimb. Prepare for stunning views of the city as far as the Blue Mountains - a superb way to finish your two-week journey. Enjoy a final morning in Sydney before heading to the airport for your onward flight home. Bon voyage! 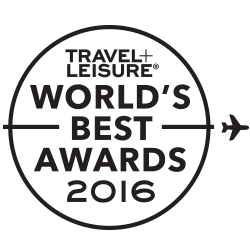 This trip is appropriate for people who enjoy a good walk or ride, and feel comfortable while on the move. Daily biking distances usually vary from 20 to 30 km and walks are 8 to 10 km, with some longer afternoon options along the way.